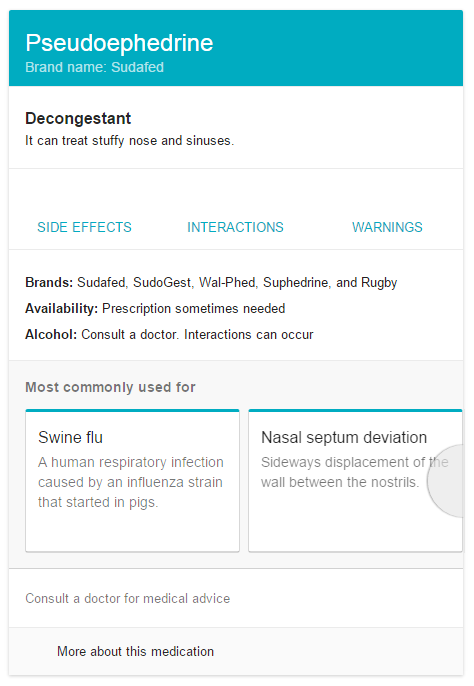 If you search for a brand name of a specific medicine, such as Adivil or Sudafed, Google will now display a new style of medical knowledge panel in the search results. 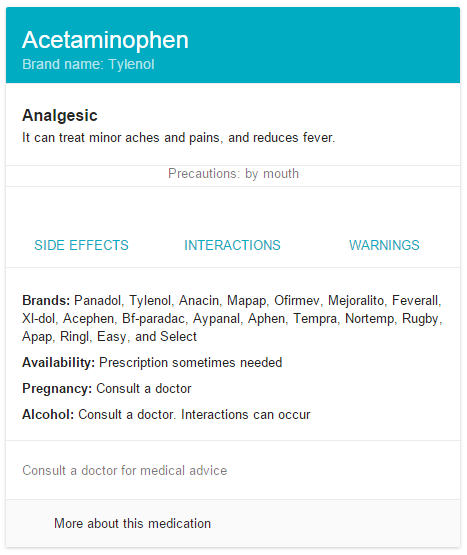 The new medical knowledge panels for brands are triggering to show information on the generic form of the medicine. 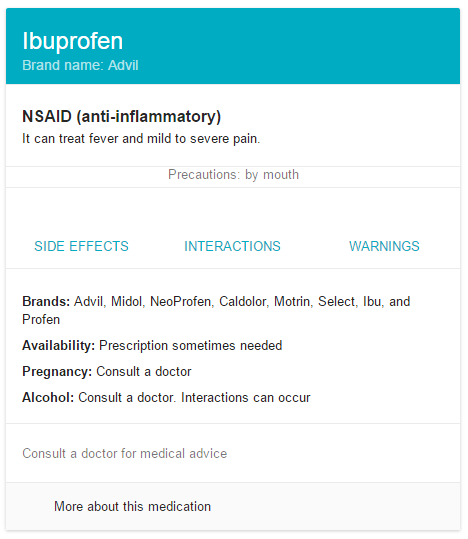 For example, a search for Advil shows a knowledge panel for Ibuprofen, along with the commonly known brand names for that medicine. 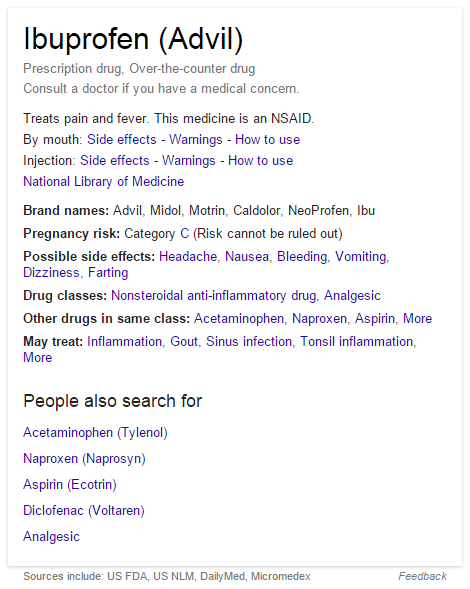 The addition of the new style knowledge panel for medication doesn’t automatically remove AdWords ads from the search. 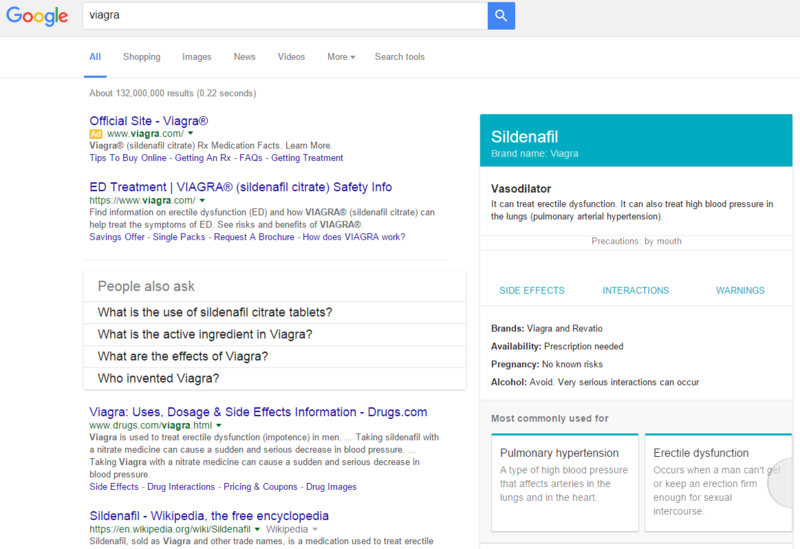 For example, Viagra also triggers the generic medicine knowledge panel while also showing ads on the page. 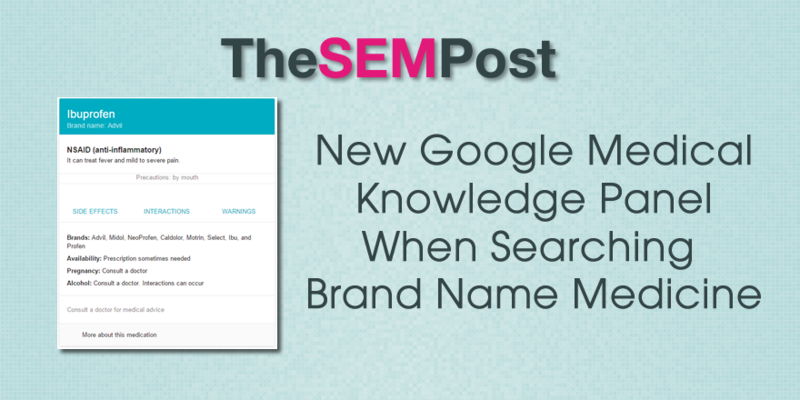 They are also triggering for many other brand name searches as well. But they aren’t showing for all the queries all the time, I could only trigger the new style a few times with the older style showing the majority of the time. The style is very similar to Google mobile cards in the search results, so I wouldn’t be surprised to see this new version get switched to 100% of the time. These are only shown for US searchers at this time, similarly to how the new style medical boxes for medical conditions are only shown within the US, something they also recently bumped up to even more queries. H/T to Dr. Pete Meyers from Moz for spotting this test too.